I found this on the internet, it does not mean what this person says is correct, but i was wondering why would he make such a comment? Starting with Toyota, the company will be launching their hybrid Prius v wagon, the plug-in Prius and the Prius c compact hybrid, an updated Tacoma, a battery-powered all-electric RAV4 and a revamped Yaris subcompact. Additionally, for the coming years, in 2013, the Avalon and the Highlander will get a redesign while the RAV4 will be all-new. In 2014, the Toyota Sequoia, Land Cruiser and Tundra will get a redesign. Lastly, in 215, the Toyota Corolla and Prius will be redesigned with the debut of the new FT-86. Scion will see the new Toyota-based iQ city car and the new rear-wheel drive Toyobaru/Scion FR-S sports car. More details for Scion include a redesign for the xD in 2013 while for 2014, Scion’s A-BAT will make its debut as well. Well, maybe Toyota looking to launch FT86 in USA in 2015? Goodbye Celica, you served me well. Who says there isn't 2 different cars? Maybe he's talking about an update model release? Maybe he just meant to say 2012 for the FT86? The dude can't even proofread his own article (215), how much more for predicting the future. ^ I believe he means a re-design (facelift) from the 2012 FT-86. Or maybe there will actually be a Toyota variant. It sounds like a product extension. A Toyota FT86 for the older generation, like a square back for golf clubs or shopping. I hope not. I really don't want the 86 to be Toyota's Camaro/Firebird. If you're going to offer a new car, don't recycle an existing one. I really hope like the rest of us that this car is coming out for Toyota instead of scion. Even the badge looks a lot better. Toyota is Scion, Scion is Toyota. This makes no sense. It's going to be the same car for everyone. The only thing that bugs me about it being a Scion over Toyota is that it was supposed to bring Toyota back from it's Beige reputation it developed lately. So, on that end, it doesn't make much sense that they'd sell it as a scion instead. But, I don't really care what brand they stick it under. If the car changes drastically depending on the name plate, I would be surprised. Though, I much prefer Scion's sales model since I hate haggling over price. And, if Scion follows through with their plan to handle most of the sales process online, I can sit at home, build the car the way I want, and have it delivered. The last thing I want is to end up with a car that only has some of what I want in it and in a color I don't really care for because that's what they had on the lot. I cant agree more, ive been watching the devlopment of the ft-86 ever since first saw the first concept in Gran Turismo 5 and the more I lean about it the more I want it. 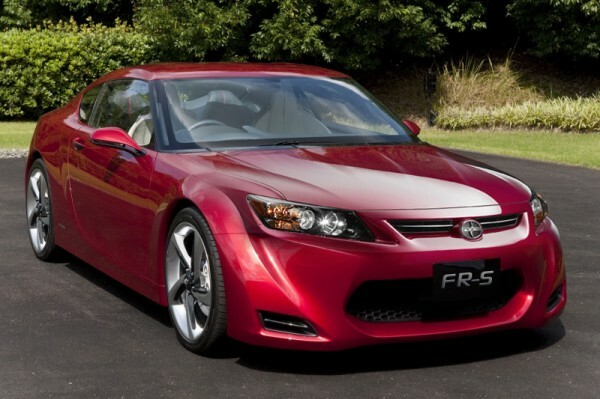 In all truth the FT-86 and FR-S and the same car but the concept car for the FR-S looks just like the TC, I dont want a car that looks like something else I was a ride that is easy to spot and recognized as what it is. Skyline, Supra, Corvette, even the Copper if you see any of them you'll know but the FR-S body looks (for now) too much like the TC. With that said I do like the concept body for the FR-S and I would drive and enjoy the crap out of it but as said before looks too much like a TC to me. If I ddidnt know better i'd say they were the same.